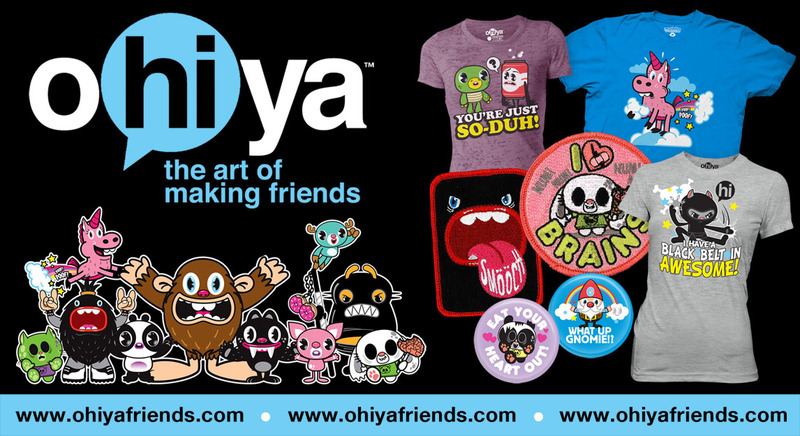 OHiya, the Art of Making Friends is the name for a concept created by illustrator Jason Tharp and a group of fellow artists who live in Ohio (get it?). The idea is to use funny animals and other strange creatures to encourage people to greet one another — be they friends or strangers — and learn more about one another and how to make friends. The creatures of Ohiya each have their own unique personality quirks, and how they learn to get along together with so many differences provides the lessons in friendship that Ohiya is all about. To start things off Mr. Tharp and his associates have created a set of t-shirts, buttons, and posters featuring characters like Mythaken the sasquatch, Zoomi-Pop the panda, and Katinja the… well, cat ninja! More is on the way, and you can see it all at the Ohiya Friends web site.